6:30 a.m. Wake up! Shockingly late, for baby is still sleeping. He woke up at 5 and Angel took him to the living room to nap on the floor, and when I woke up, Cyrus was still sleeping on the floor. Hey, whatever works! Eat breakfast and take a shower. 7 a.m. Baby wakes up! Angel gives him a bath and then scurries around to grab all of his stuff for work. I get the laundry started and baby dressed. 7:30 a.m. I see Angel to the door, goodbye, have a great day! Feed the baby, then play with the baby. I got out his blocks, a gift from his uncle, and he had fun chewing on them. While he was playing, I washed and chopped potatoes for tonight's dinner. 9 a.m. Cyrus falls asleep after eating, and I put him in his bouncer for nap. Then run to get a glass of water and hang up the laundry to dry, then grab my computer to do a bit of writing and upload and edit photos from my camera, respond to emails, read a couple blogs. The weedwhacker going on outside woke Cyrus up temporarily but he fell asleep again. 10:30 a.m. Cyrus is awake!! Whoa, that was a crazy long nap!! I get him out of his bouncer so he can play for a bit while I put on a bit of makeup and put in some earrings and clips in my hair, then pack up our stuff, and take a selfie before heading out with baby, purse, and diaper bag. Oh, at the last minute, I take the chicken out of the freezer to defrost--I'm planning on making fried chicken for dinner tonight. 11:00 a.m. Leave my house, intending to take the elevator down to my parents' apartment on the ground floor. Walk all the way to the back of the building, the elevator isn't working, so I walk down five flights of stairs...while carrying 20 lb. infant and diaper bag and purse. Definitely writing that down as a second work-out of the day! Stairs! My sister has made a fabulous cabbage soup for lunch so I put Cyrus down in their living room with some toys and grab a bowl of soup and a glass of green tea for lunch! 11:30 a.m. Text from Angel. He forgot that he had a meeting and a dinner at school today, after school, so, I don't need to cook dinner. Actually, Cyrus and I are invited to the dinner because staff members' families are allowed to come, too. I run back to my house to put my nicely chopped potatoes in a bowl of water in the fridge and pop the chicken back in the freezer. My dad is fond of saying that procrastination ends up saving him so much work when plans change, and I'm reminded of this philosophy of his right now. I had dutifully prepped for dinner and as it turns out, didn't even need to! Oh well! Run back downstairs, feed Cyrus. 12 p.m. Head out the door to go volunteer at our learning center for the afternoon. When we first arrive, it's a rush of turning on air-cons and lights, opening up the room, choosing craft materials and read alouds for the day, unpacking new materials that I picked up last weekend. A few new books for our collection that I'm really excited about! Today's read-alouds. "Right Choices" is one of the students' all-time favorites. Mostly, I think they like assessing loudly whether the kids in the stories are making right choices or wrong choices. "Sideways Stories from Wayside School" is one of my favorite children's books. Yesterday, I read to the kids the story of Sammy, a new student at school who turns out to be a dead rat wearing about 40 raincoats. It's the best ever. Students arrive, and the afternoon passes in a whirlwind of reading, writing, arithmetic, glasses of water, crafts, snacks, games. etc. Funniest comment of the day was from one girl who was talking about plans for the future and what life will be like when she's grown up. She's currently 7, and she said, "When I'm 20, your mom will probably be 'up there' [gesturing toward the ceiling], you know, in heaven." She was shocked to find out that my mom is not all that old and could plausibly still be alive in 13 years. 4:15 p.m. Classes are done for the day, and we walk home, up a hill that seems steeper the sunnier it is. Definitely counting this one as a workout for the day! 4:30 p.m. Arrive home, feed Cyrus, get ready to head out again for dinner at Angel's work. 5:00 p.m. My dad drives me over to Angel's work and Cyrus and I head in to meet with him. Cyrus is a big hit with Angel's coworkers, and spends most of the time in other peoples' arms, although they keep asking if he's sad or scared and I'm like, no...that's just his face. He has a very serious resting face. It seems normal to us at this point, but I think other people are more accustomed to smiley babies He smiles, but not all the time. He was perfectly content hanging out in the arms of strangers. The pizza was delicious. Pizza is one of my favorite foods, and Angel will never quite understand this. 6:15 p.m. The three of us return home, and in a strange way, it feels like an early time to be home for the night with nothing else going on and no more big to-dos! Angel and I chat about the day for a while as Cyrus plays on the floor, wrestling with a teething toy, and then Angel responds to a couple of emails from students and heads out for a run around seven. Cyrus eats and falls asleep--just a 15 minute cat-nap on the couch. 8 p.m. Angel returns from his run, showers, gets together what he needs for work the next day (including his lunch, which is a kiwi with oatmeal, a combo he swears by), and then plays with Cyrus for a bit so I can write this post. Then, jotting down notes in my planner for what I want to get done tomorrow--sweeping and mopping are first up on the list, and actually cooking the fried chicken and mashed potatoes I'd planned on for today, and prepping Sunday's youth group lesson. I sleep better when I'm not thinking "Oh, I need to remember to do such-and-such in the morning." 9 ish p.m. Baby is getting sleepy, and so am I! Time for bed! A simple, non-extraordinary day with some surprises and deviations from plans...and altogether a wonderful day. How's your day going? I love day in the life posts! This is so interesting. That cabbage soup looks delicious. Fun day in the life post! That takes me back, I remember the days of the napping baby and all the things you could get done while they slept! Seems like you have a pretty good routine going! There are so many things I love about this, especially since our babies are the same age and so it’s fun to see what Cyrus is doing! But mostly, I love Sideways Stories - oh Todd, I always loved Todd. Lol. And wait until Cyrus is a little older and starts joining in the exercises even more....it’s hilarious and eye opening as to what you probably really look like! I love "day in the life" posts. 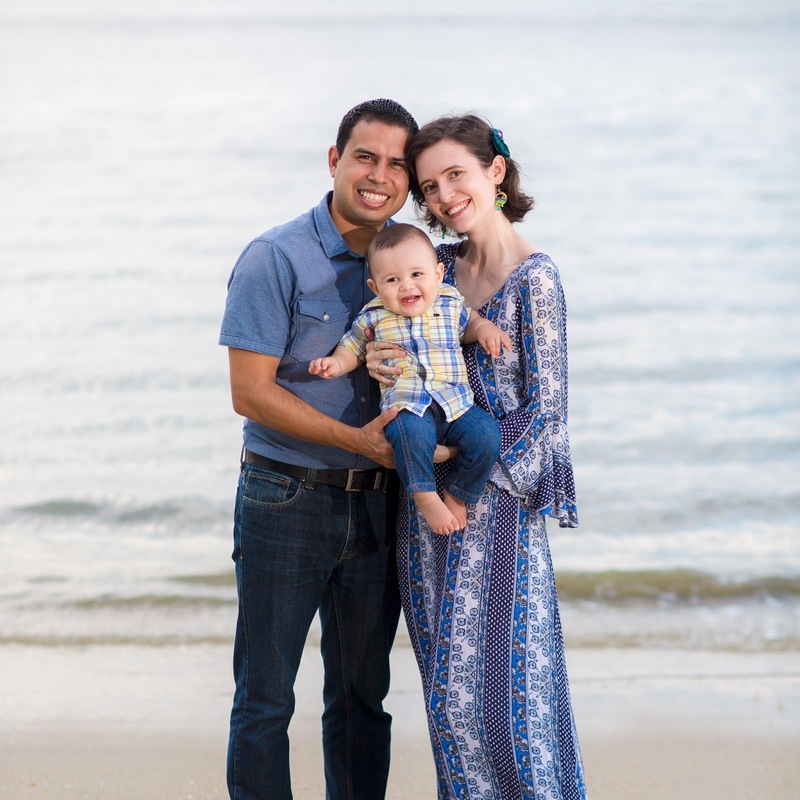 This one is especially nice to read because we're still in a bit of a "survival mode" over here with our little guy (how will he be one month old this Sunday??? Time flies so fast)-reading about your life reminds me that in the not-so-distant future, things will probably be going more smoothly as our baby grows and matures. That's neat that you had a surprise of not needing to make dinner, too. We love pizza at our house! Do you guys have any particularly unique pizza topping combinations in Malaysia? I love Day in the life posts. Cyrus is so cute!! Thanks for sharing! Such a lovely glimpse into your day; and I’m sure you’ll love to be able to read this in years to come and be reminded of this time! I wouldn't even know where to start with a day-in-the-life right now lol. Do you find he's better if you give him a morning bath? I'm trying to do it as part of a bedtime routine but it's so exhausting at the end of the day. Your post made me recall the times I went through looking after my son 24/7 when he was a baby. It was tough on some days and better on others. But by and large, it was tiring keeping up with him and other chores and duties. On hindsight though, it was worth every minute of it.